G5. 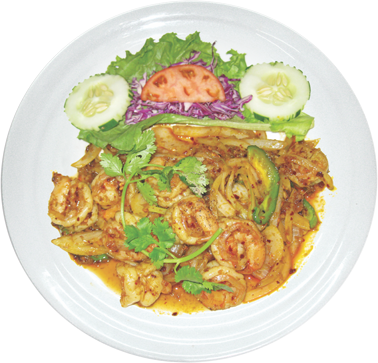 Tom Xao Ca Ry- $15.5 $17.5 Curry Shirmp Shrimp, mushroom, bean thread noodle, mixed vegetables stir fried in yellow curry sauce & coconut. H4. 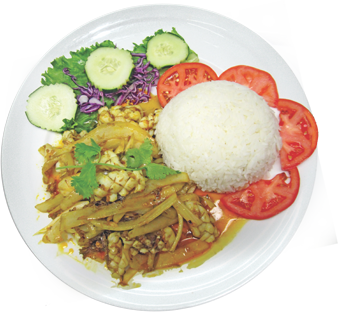 Muc Xao Chua Ngot- $14.5 $16.5 VIETNAMESE SWEET & SOUR SQUID Squid stir fried w/pinapple, tomato, cucumber, onion w/ sweet & sour flavor Vietnamese style. H5. Muc Xao Ca Ry - $15 $17 CURRY SQUID (SPICY) Squid, mushroom, bean thread noodle, mixed vegetables stir fried in yellow curry sauce & coconut cream. I4. 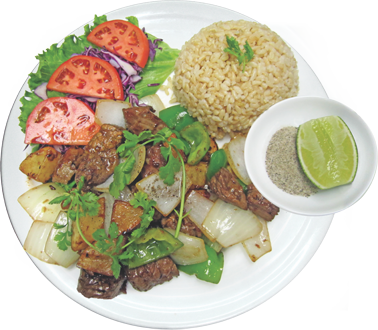 Bo Xao Chua Ngot - $13.5 $15.5 Beef stir fried w/pinapple, tomato, cucumber, onion w/ sweet & sour flavor Vietnamese style. I5. Bo Xao Ca Ry - $14 $16 CURRY BEEF (SPICY) Beef, mushroom, bean thread noodle, mixed vegetables stir fried in yellow curry sauce & coconut cream. J4. 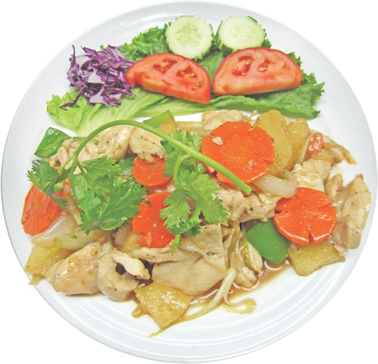 Ga Xao Thom- $12.5 $14.5 PINAPPLE CHICKEN Chicken stir fried w/pinapple, onion, bell pepper & carrot w/ sweet & sour flavor. J5. 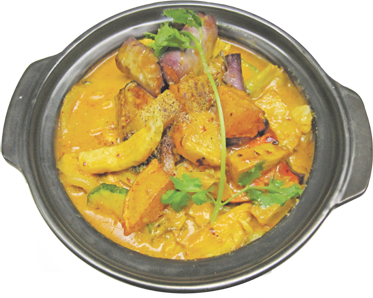 Ga Ca Ry- $13.5 $15.5 CURRY CHICKEN (SPICY) Chicken, mushroom, bean thread noodle, mixed vegetable stir fried in yellow curry sauce & coconut.